ATLANTA, Georgia, November 14, 2011 (ENS) – Up to half of all antibiotic prescriptions written in the United States are unnecessary and contribute to the risk of untreatable infections with germs resistant to these medications, officials with the Centers for Disease Control and Prevention warned today. To mark Get Smart About Antibiotics Week November 14 – 20, the CDC has launched a new antibiotic tracking system that allows hospitals to monitor antibiotic use electronically, make better decisions about how to improve use, and compare themselves to other hospitals. Until now, CDC was able to track antibiotic use only in doctors’ offices. The antibiotic use tracking system is part of CDC’s National Healthcare Safety Network, the nation’s premier tool for monitoring infections in health care facilities, which includes over 4,800 hospitals. 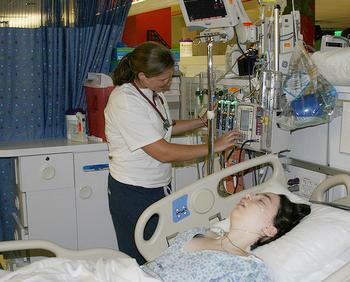 Each year, an estimated 250,000 cases of central line-associated bloodstream infections occur in hospitals in the United States, leading to at least 30,000 deaths, according to the Centers for Disease Control and Prevention. The average additional hospital cost for each infection is over $36,000, which totals over $9 billion in excess costs annually. A central line is a tube that is placed in a large vein of a patient’s neck or chest to give medical treatment. When not put in correctly or kept clean, central lines can become a freeway for germs to enter the body and cause serious bloodstream infections. Patients who receive antibiotics to fight these infections can experience side effects, including allergic reactions and may be at increased risk for Clostridium difficile infection, a potentially deadly diarrheal infection. “This new system is a powerful tool that will enhance providers’ ability to monitor and improve patterns of antibiotic use so that these essential drugs will still be effective in the years to come,” said Dr. Frieden. Four common infections seen in health care facilities declined in 2010, Dr. Frieden said in October. The agency reports an 18 percent reduction in the number of people developing health care-associated invasive methicillin resistant Staphylococcus aureus, MRSA, infections. CDC has funded four health departments and their academic partners to implement the tracking system in 70 hospitals. In addition, any hospital that participates in the National Healthcare Safety Network can utilize this tool by working directly with its pharmacy software vendor to transmit data electronically from drug administration or barcoding records. There is no manual entry of data, thus saving a facility time and money. In conjunction with Get Smart About Antibiotics Week, CDC is partnering with the Institute for Healthcare Improvement to pilot test a tool to help hospitals implement practical strategies to improve antibiotic use. Pilot testing is now under way in eight U.S. hospitals. Dr. Frieden has often said that patients, health care providers, hospital administrators, and policy makers must work together to employ safe and effective strategies for improving antibiotic use. To access a list of pharmacy software vendors who are working with CDC’s new antibiotic use tracking system, see the Society for Infectious Disease Pharmacists website. The 2011 observance of Get Smart About Antibiotics Week is an international collaboration, coinciding with European Antibiotic Awareness Day and Canada’s Antibiotic Awareness Week.